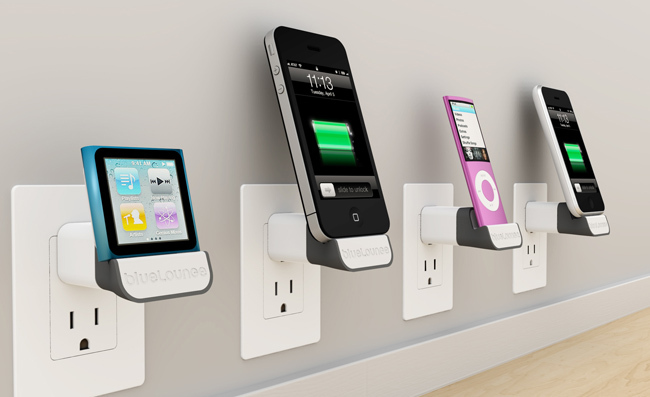 Bluelounge has released yet another clean looking accessory for the iPhone and iPod called the MiniDock, it's every neat freak's must have charging adapter. The MiniDock is a USB dock adapter that plugs into your Apple USB Power Adapter so you can charge your iDevice without having to take of your protective case in an upright angle straight from your wall outlet and reduce those pesky charging cables whilst saving some desk space. The MiniDock is available for $19.95, and comes in a US, UK and EU versions.